Denmar Sanitarium is a repurposed tuberculosis hospital for African-Americans in Denmar, West Virginia. It became the Denmar State Hospital in 1957 and closed in 1990. It reopened in 1993 as a state prison. In 1917, the West Virginia state legislature formed the State Colored Tuberculosis Sanitarium for African-Americans who had tuberculosis and tasked the West Virginia Board of Control to construct such a facility. 2 The Board of Control acquired 185 acres of land from the Maryland Lumber Company and the new sanitarium admitted its first patients on January 31, 1919. Denmar closed in 1990 and was turned over to the county. 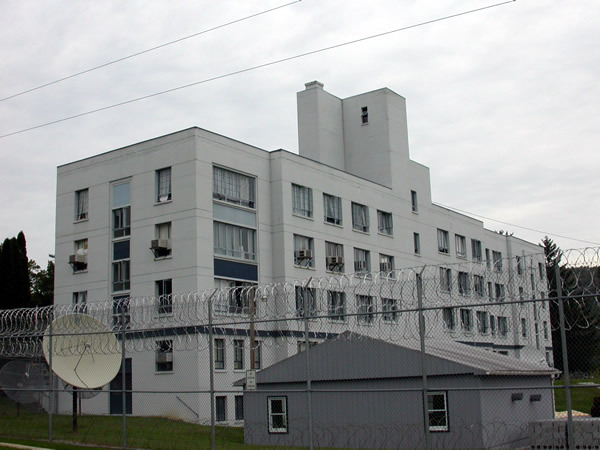 1 It was acquired by the West Virginia Division of Corrections in 1993 and was converted into a state correctional facility. The site was expanded in 1998 when work began on a new multi-purpose building and a correctional industries and vocational structure. “DCC.” Denmar Correctional Center. West Virginia Division of Corrections. 25 Apr. 2006 Article. 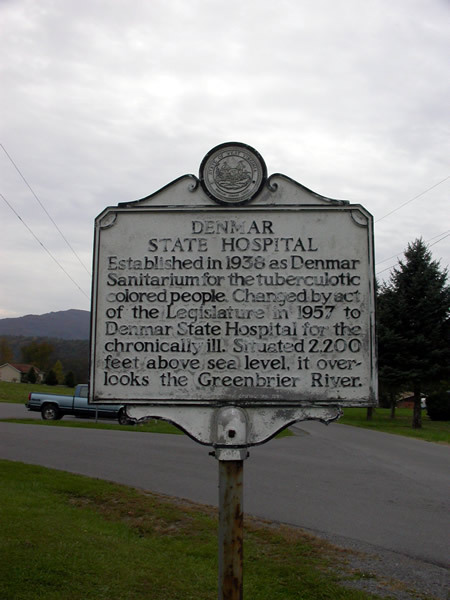 “Deaths at the West Virginia Colored Tuberculosis Sanitarium at Denmar.” West Virginia History 56 (1997): 88-121. Is it stills correctional facility or is it currently abandoned. Many thanks for this informative post. Denmar was named for my grandfather John Albertus Denison of the Maryland Lumber Co. After decimating the forests there, he and my dad moved on to northern Alabama and Florida. No doubt the TB hospital was a horrible place for the very ill, segregated patients there, so RIP. I’d like to print out those photos for my own genealogical records with your permission please?